Marine turtles have nested on parts of the Queensland coast for thousands of years. To watch a marine turtle nest is to experience one of nature’s truly wonderful rituals. A marine turtle can be between 30 to 50 years of age before it begins to breed and may only breed every few years. The hatchlings join the world from about January to April, emerging in a flurry from their nests, generally during the night, after a period of 7 to 10 weeks in the nest. They have an extremely low chance of survival, with only about one (1) in one thousand (1000) reaching maturity. In the nest, hatchlings break their egg shell wall within hours of each other and then it can take up to 24 hours to emerge totally from the eggshell. En masse, they climb upwards towards the surface, breathing the air in between the grains of sand. It can take them up to 2 days to actually reach the surface. From the nest, the hatchlings will race down to the ocean as they respond to the environmental indicators around to help them on their way to the water. This can take several minutes to achieve and at all stages they may be vulnerable to predators both on shore and in the water. Lady Musgrave Island is fortunate enough to have many Green Turtles, with sightings of Loggerheads and occasionally the endangered Hawksbill the Hawksbill are very special when you see them they actually look like they have a hawks bill. 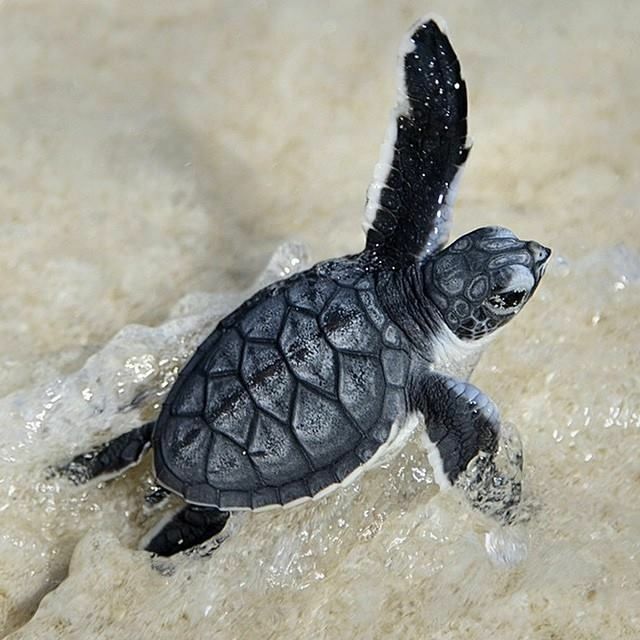 Green and Loggerheads are the most common hatchlings beginning their lives in the beautiful waters of Lady Musgrave Lagoon.